From their earliest histories, Hicksville and Hicksville Township were known for maintaining schools of a high grade. The township was divided into nine sub-districts, each with its own school board managing the concerns of its little—and sometimes red—schoolhouse. In the village, Ranson Osborne taught the first school of five pupils, and a small frame structure located on the NW corner of High and Bryan Streets was cited as the first school building. 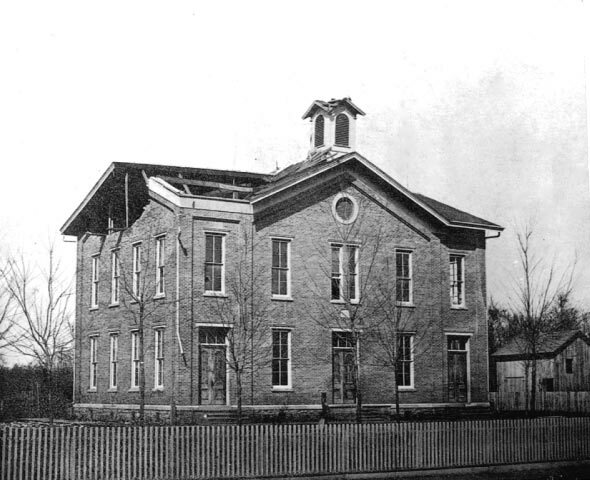 By 1874, a larger plot of land at the corner of Smith and Main Streets was obtained for the purpose of building a larger school for the town’s growing population. The first graduating exercises were held in 1881 under the superintendency of T. Reese Milleson at the first M. E. Church on Main Street. 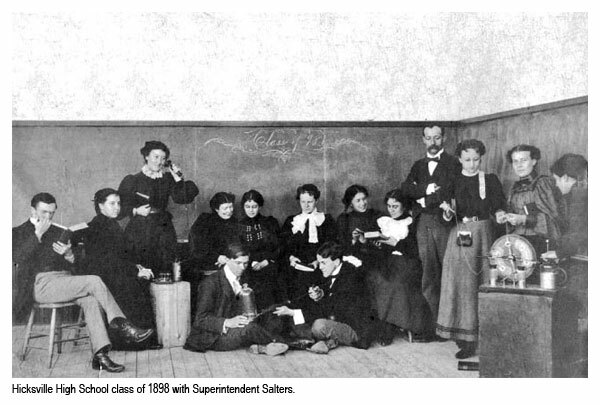 Mr. Milleson resigned shortly before the next year’s graduation, and the class of 1882 did not receive their diplomas for more than ten years when ceremonies were held in August of 1892. Despite an addition to the original $15,000 four-room brick structure, it was obsolete within 22 years and torn down. In 1896, a larger and more substantial schoolhouse was built by local contractors. By the 1920’s, township and village schools were merged into the Hicksville Village School District. This new district saw to the education of grades 1–12. (Kindergartens were run privately until the 1940’s.) With laws suspending any district school with an average attendance of ten or fewer students, four of the original township schools had been closed and a fifth was on the brink of closure. Pupils were then assigned to another township school or sent into the village. Hicksville Village had 57 students from neighboring districts by 1924. 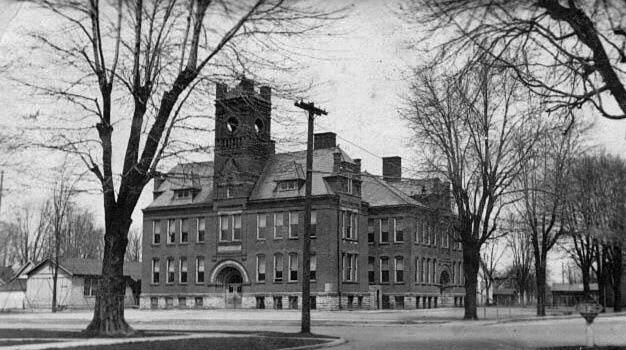 With compulsory education bringing even more children to the school population and new courses added to broaden education (i.e., home economics, typing, bookkeeping), some classes were held in other buildings. Graduations were held in churches or at the Huber Opera House. Rumblings for a new building began in the same decade, but the 1896 building continued in use. It was not demolished until 1959.